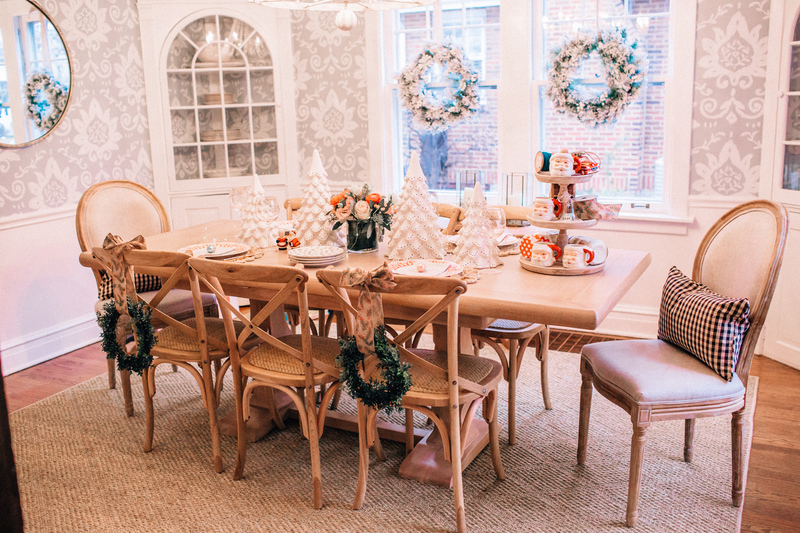 I’m so excited to share our dining room makeover with you today! We partnered with Ballard Designs to completely redecorate this room and I am so so happy with how it turned out. It feels warm and inviting and everything I dreamed of feeling when you walk through our front door. When we first looked at our house, this room was what sold me. The wallpaper, the beautiful built-ins, the original wood floors…it is such an inviting room and sets the tone for the entire home. For a year we had the same furniture that we had in our apartment which was heavy, a little industrial and the complete opposite of what this room needed. Now when I walk in the door I can’t help but feel warm and cozy. Ballard Designs has always been one of my favorite home decor destinations so when they reached out to me to partner on their new store opening in Chicago (!!!) I was thrilled. They recently opened their doors at Oakbrook Mall and the space is BEAUTIFUL. Seriously the most stunning space. I have always admired their pieces online or in catalog but actually seeing them in person gives me a whole new appreciation for their high quality and thoughtful design. When designing this room my first priority was the table. I wanted something that could seat more than six people and immediately fell in love with the Chianni Trestle Table in Beligan Oak. The quality of the wood and color is exactly what I was looking for and pairs perfectly with our wallpaper and built-ins. I have always loved the shape of these Brentwood Chairs and the Weathered Oak compliments our table perfectly. We were desperately in need of a new chandelier (I love that you can see it through the windows of the front of the house!) and the Casa Florentina Lucca Chandelier is so dreamy. I love the size, too! Since our wallpaper has so much going on I added a simple mirror opposite our windows to open up the room even more. The Josephine mirror is a bit oversized and the distressed iron matches the chandelier. At the last minute, we decided to add a rug to the room and this Trellis Sisal Rug adds the perfect amount of texture! 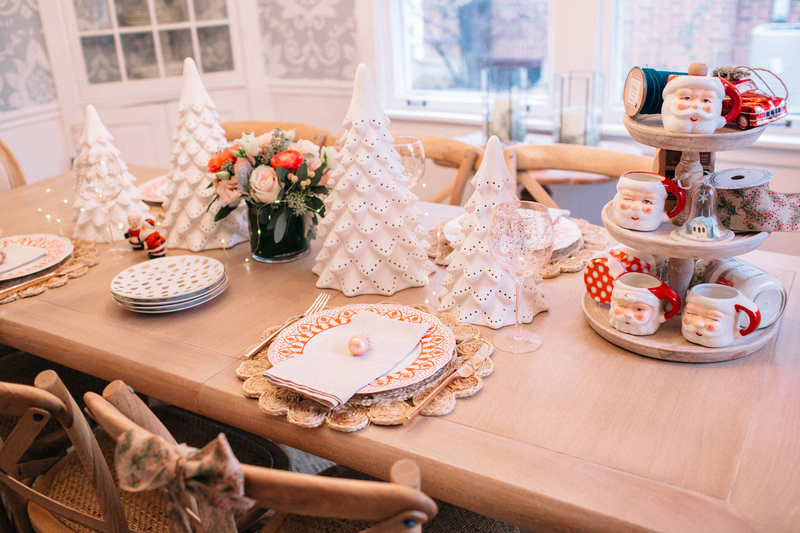 Because it’s the holidays I couldn’t resist picking up a few festive details for our holiday table! These LED trees are BEAUTIFUL, I loved them so much that I bought a few for our mantel too. 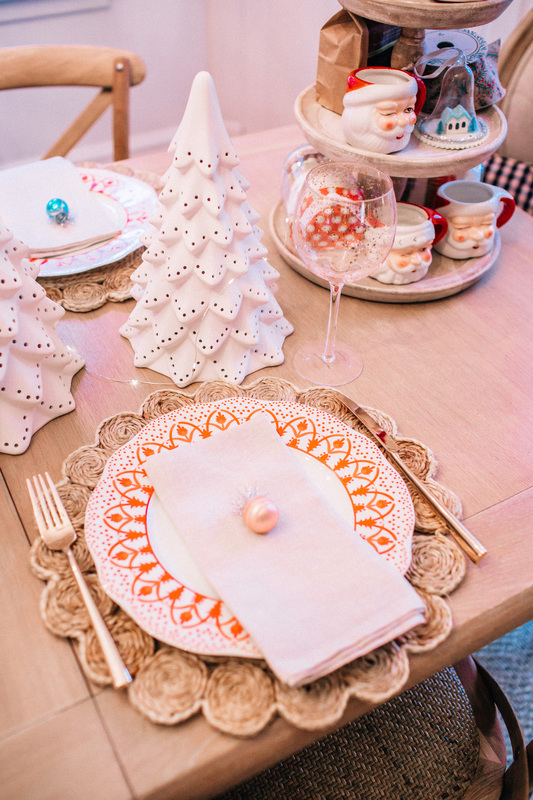 These Jacqueline dinner plates are stunning and look like your grandmother’s china—the Christmas print is subtle and beautiful. I also picked up these leopard accent plates which are so fun for appetizers or a bread plate. 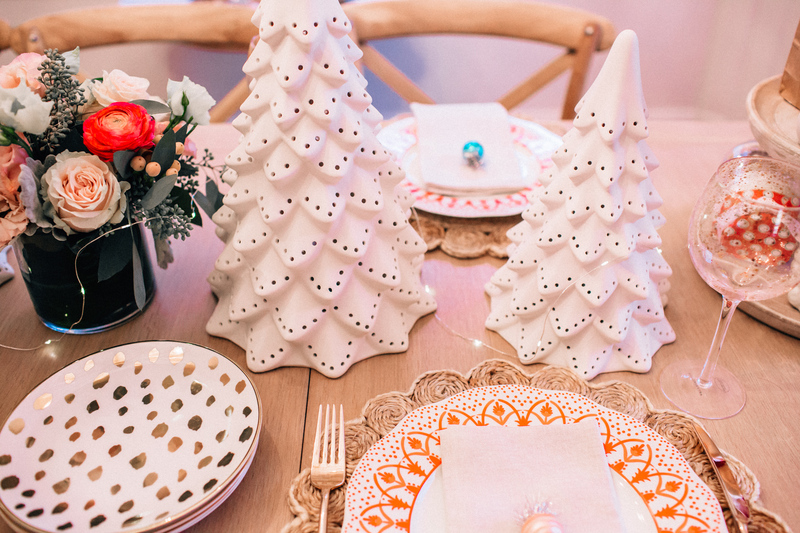 I like to have fun with my table and this feels light and festive! Ballard’s serving pieces are some of my favorites and I couldn’t resist this Jillian 3 Tiered Stand. 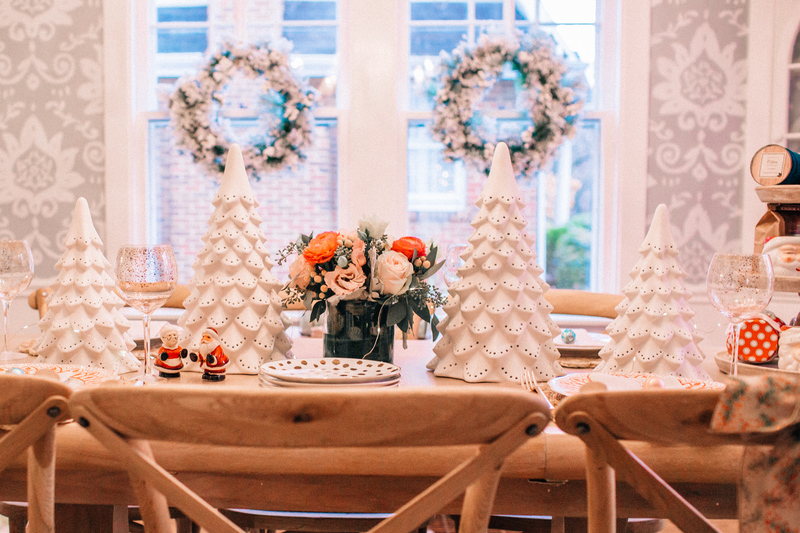 I was so excited to finish the room with these beautiful Flocked Wreaths! We also ordered this Casa Florentina Sideboard in distressed gray to sit under our windows (where the wreaths are hanging) and I got two olive topiaries to sit on each end. I have this faux fiddle leaf fig tree coming this month and I’m so excited! It will be perfect in our living room! I’m so thrilled with how everything turned out and I can’t wait to start creating memories in this room. Ballard has so many beautiful pieces right now and I’m so excited to add a few more to our home! PS: We also have these lucite rods in the living room and they are so chic! In collaboration with Ballard Designs. Wow, it looks fantastic! Thanks a lot for sharing! 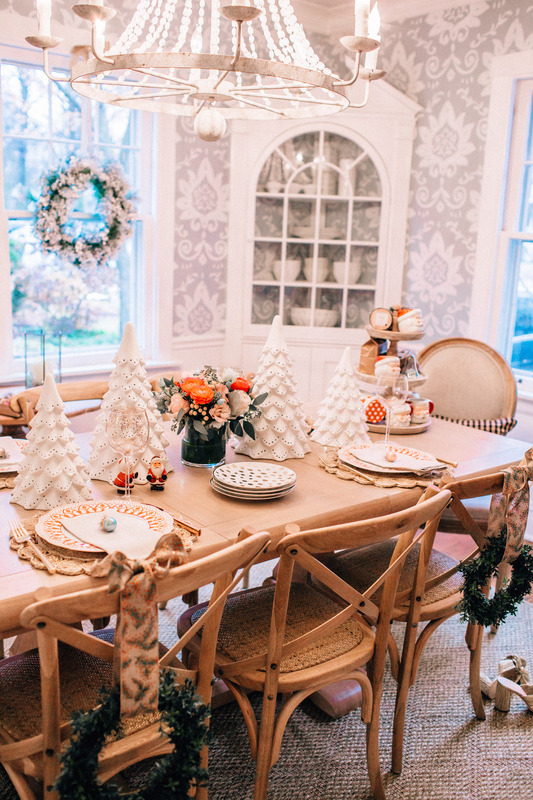 Omg Liz, I am obsessed with your dining room! It’s decorated so perfectly! You did an amazing job! Everything matches the room so well. So chic, charming, and cozy. Absolutely love your side chairs and rug! thank you again for telling me about another great find, Ballard Designs, will DEFINETLY go there this weekend! 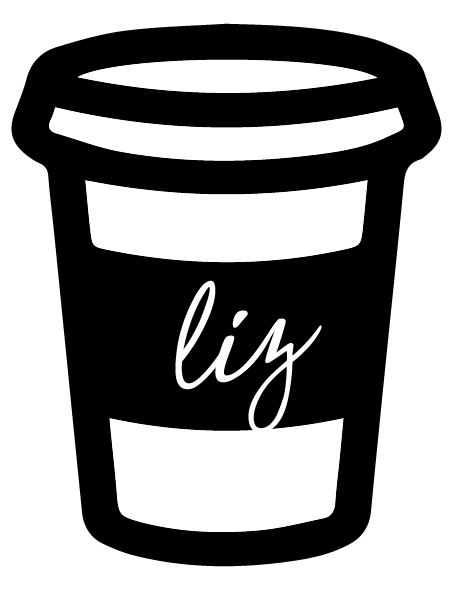 Love Ballard and love your website! Just furnished my living room with their beautiful pieces! Stunning is an understatement but that it is! 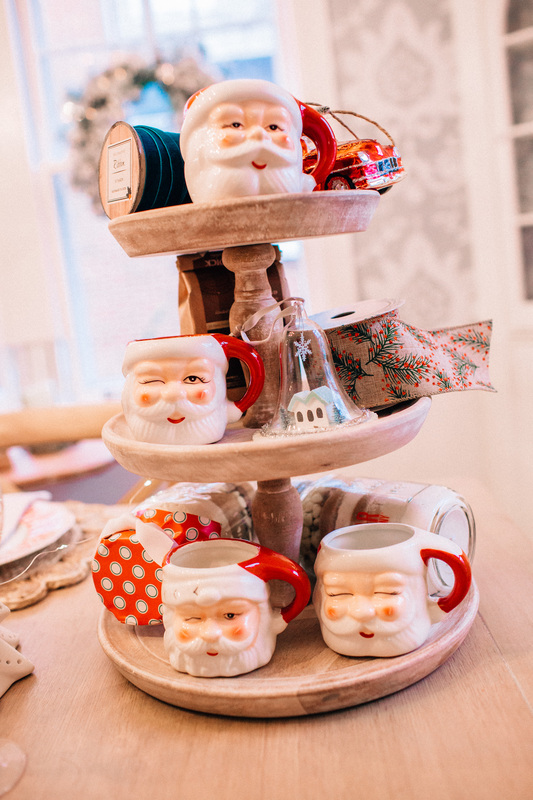 I saw the Pottery Barn Santa mugs in my Australian store yesterday and I’m totally going to pick some up! 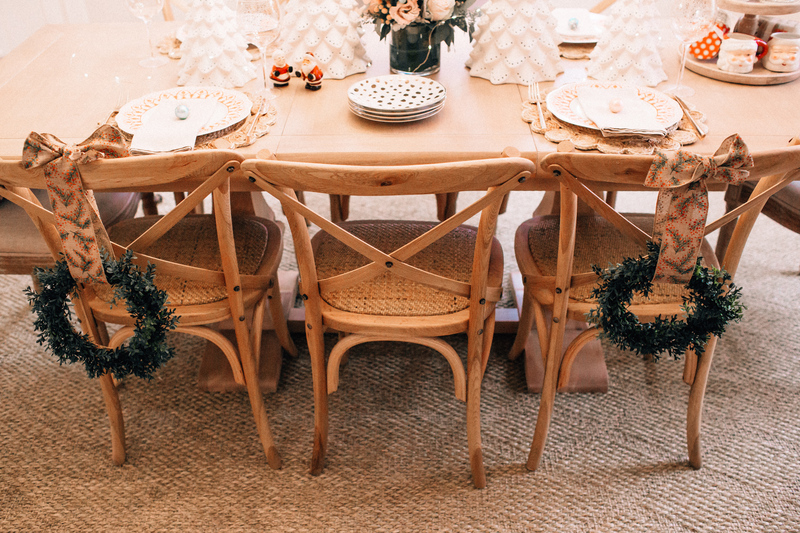 I love the wreaths hanging down the backs of the chairs! 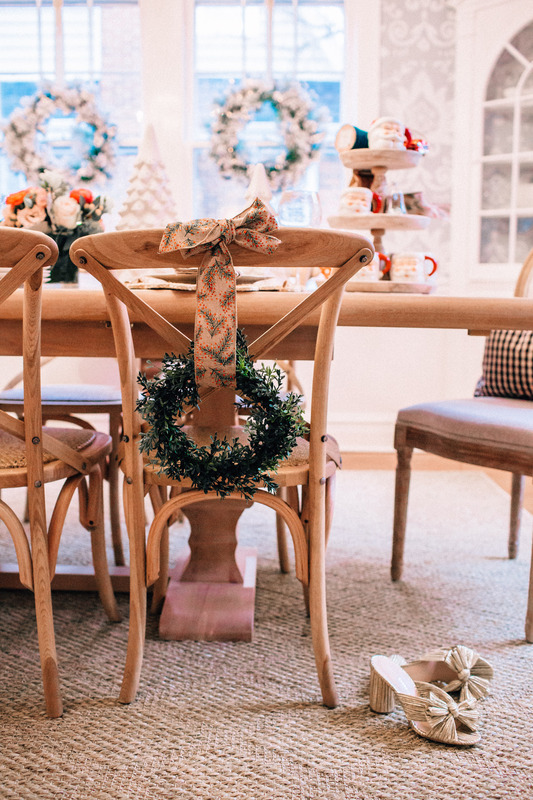 An easy way to take any dining room into the holiday season. I love Ballard too; wishing I lived in close to a store! I’ve always loved the wallpaper in your dining room pictures — glad you love it too! 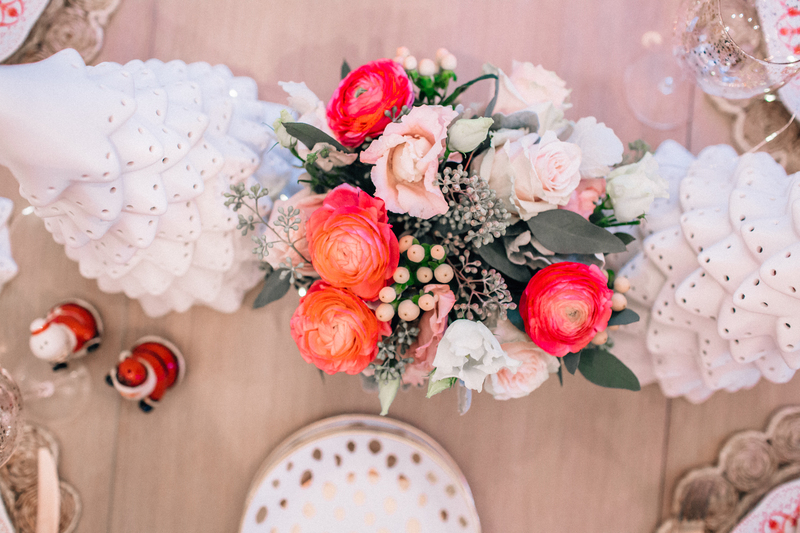 It all looks so pretty and you are smart to do the six side chairs! So pretty! Can I ask where the circle chargers are from?